It was my latest order from Lee Valley. I ordered a few items, but the one I needed most at this time was my new flush cut saw. The next step in the project was to trim down all those drawbored pegs. I ordered the saw with the teeth that cut on both sides, which turned out to be very useful, as I had to maneuver around a little bit…my rails are slightly higher than my stiles. Anyways, this little saw is a dream to use. The teeth are set only on one side so there is no chance of cutting into the work-piece. As a result, the saw pulls to the other side, which is good for not marring your work. However, there is a little clean up after the cut…but it is minor. I realized tonight that Veritas always seems to think of everything. For example, etched on the saw blade is ‘this side up’ for the dummies like me who might put the set side down and cut into the work-piece. 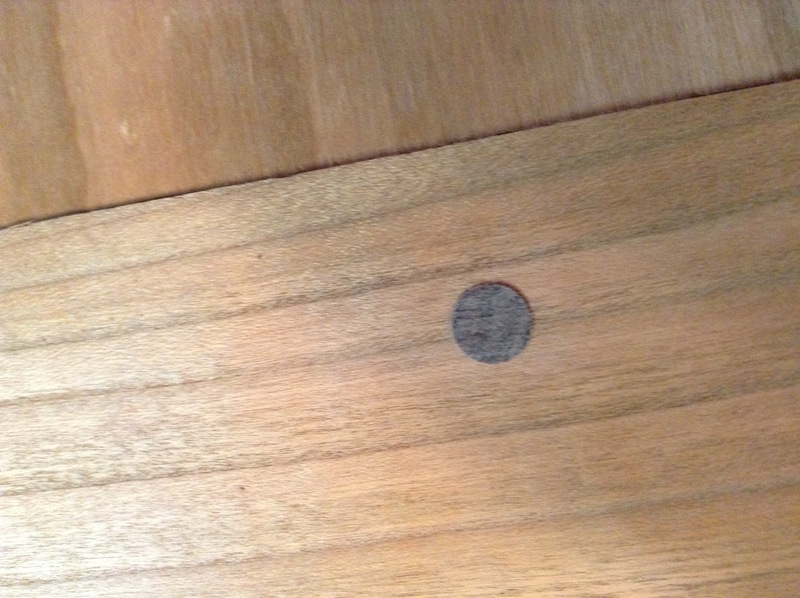 There is also a depression on this side for your finger to sit as it pushes down on the saw. Well, how does the saw cut? 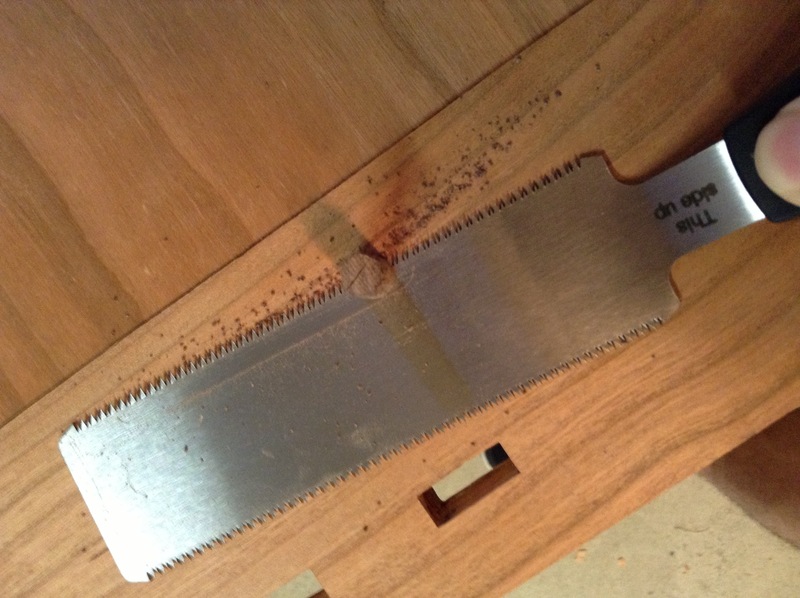 The saw starts easily and cuts fast…really fast, while at the same time keeping a very clean and smooth cut. 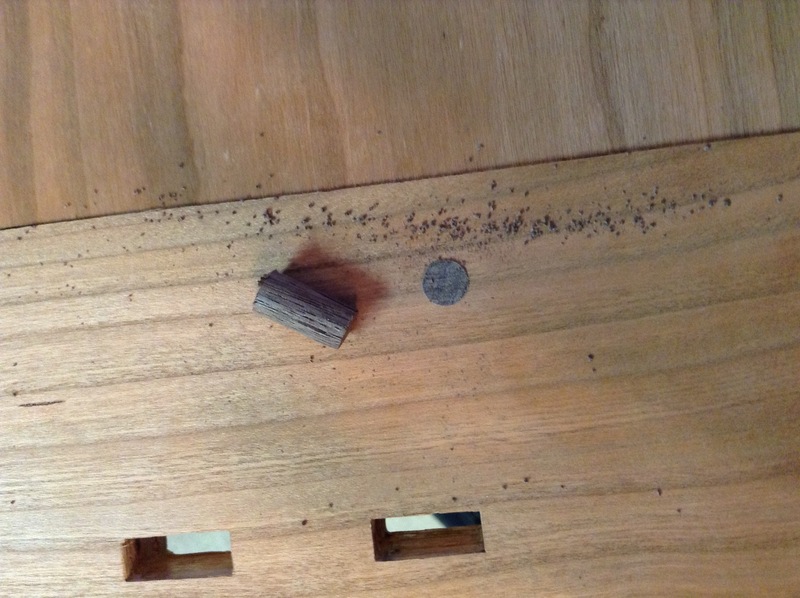 I made 24 cuts through these walnut pegs tonight in just a few minutes…and I am usually incredibly slow. At first I started the cut by holding my finger on my off hand down on the blade to keep it flat on the work-piece. After a few pegs, I just let the saw do the work. 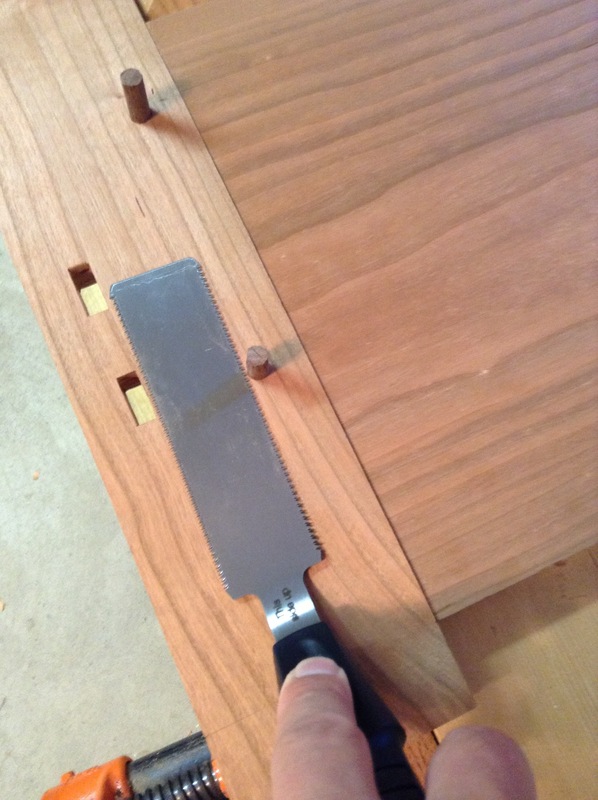 It only took a quick paring with a chisel to get things perfectly flush. The remaining 23 of these look just as good. 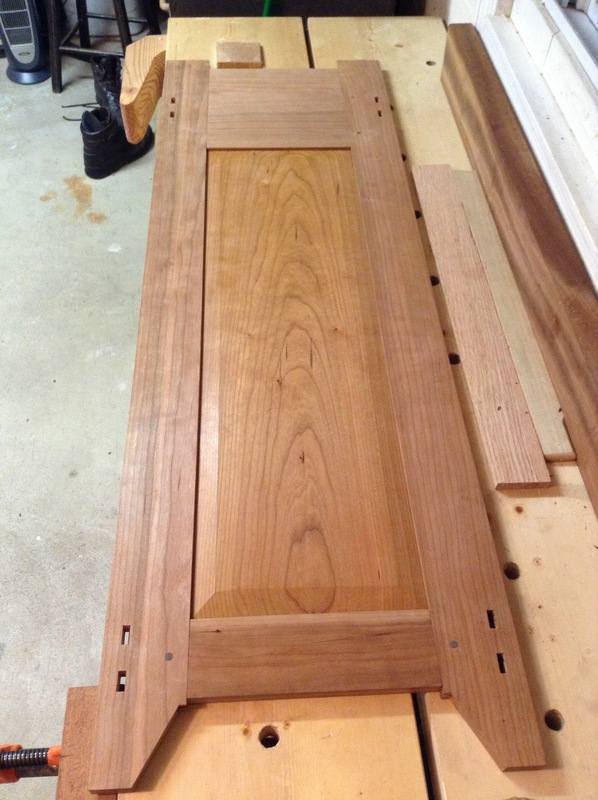 I can’t wait to use this puppy later in the project when I trim some through tenons. 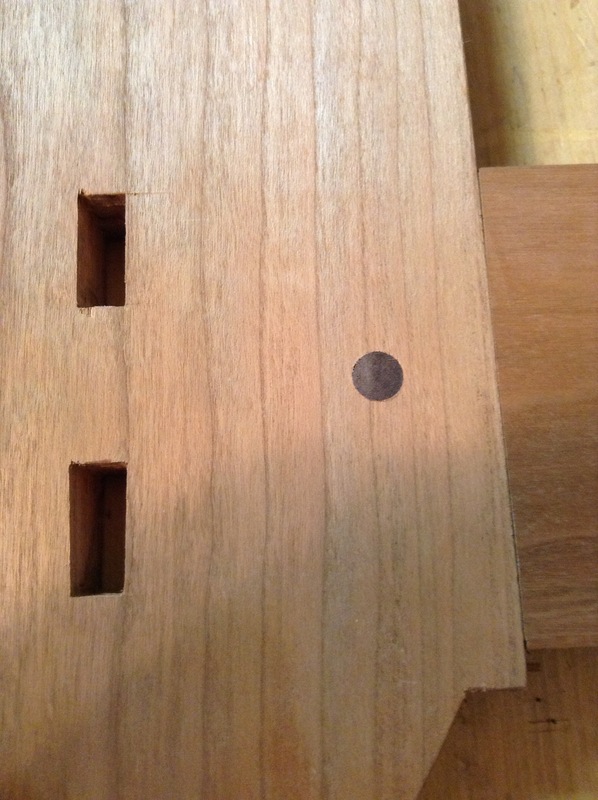 This entry was posted in Chiffonier, furniture, hand tools, tool review, VCF, woodworking and tagged cherry, chiffonier, drawbore, furniture, hand saw, hand tools, pegs, Veritas flush-cutting saw, woodworking by villagecustomfurniture. Bookmark the permalink.